Installed at Materials & Applications until January 8, The Kid Gets Out of the Picture is a contemporary update on the aesthetic principles of early 19th century English landscape architecture and its catalog of objects (follys, ha-has, viewpoints) that reproduced the pictorial effects of landscape painting within real space. Guest curated by Los Angeles Design Group, the project is a collaborative installation by LADG, First Office, Laurel Broughton/Andrew Kovacs, and Hirsuta. The LA Forum spoke to Los Angeles Design Group about the “manner of a picture” in the post-digital age. The Kid Gets Out of the Picture takes elements of traditional English landscape architecture to create a uniquely interactive installation. What drew you to this “catalog of nouns”? We were initially drawn to the nouns used by the authors of the English picturesque because to contemporary ears they are all so implausible as words that would have any place in a technical discipline. Over time they’ve fallen into a colloquial imprecision. It’s surreal to read passages where authors argue over the minutiae of words like clump, lump, mass, group, and belt. When we chose to build these nouns, we found the perfect combination of a highly regulated framework in which to design, but also running room to invent inside of this structure. Each of these terms has a remarkable relationship to contemporary architecture. They all seem to offer, from a great distance, possibilities for what architecture could be in this newly “post-digital” period. The exhibition is described as deploying the tactics of the picturesque in reverse. What interests you about this interplay between form and the picturesque? This project is part of a series we have done using the English Picturesque as a point of departure. In William Gilpin’s formulation, the picturesque is a form of beauty “in the manner of a picture,” and it seems to us this is a good way to think about some of the preoccupations of contemporary architecture: we (if it’s possible to generalize about the state of our architectural generation) build the real so that it can be photographed and disseminated in the form of pictures. In a certain sense the picture is more important than the actuality of the building. The title is a nod to the Robert Evans film “The Kid Stays in the Picture.” We want to think about ways of building that might complicate, or resist an easy relationship between architecture and its pictures. To the extent that contemporary architecture is “in the picture,” we want to think about what it would mean to “get out.” For us this means shifting attention to how buildings are organized and how they impact the forms of life that happen around and in them. “Hot on the Heels of Love: Sensational Speculations” opens at Jai & Jai Gallery on November 5. 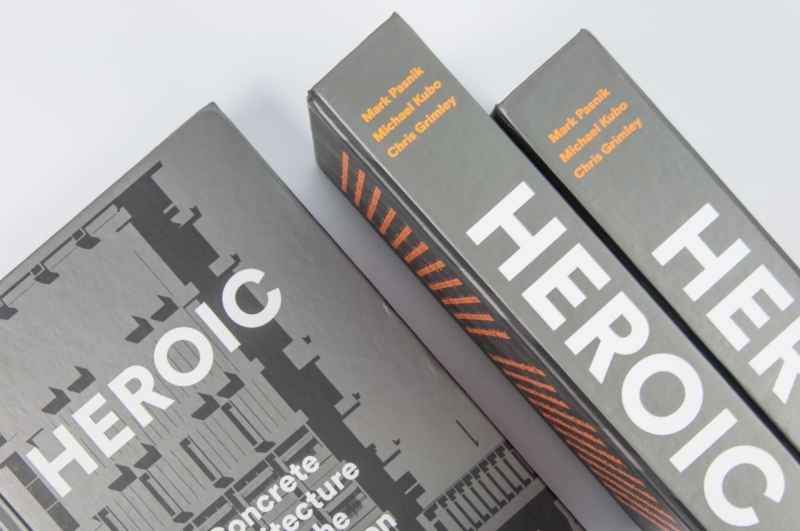 The exhibition and installation by architect John Southern of Urban Operations tells five polemical stories about the modernist skyscraper. The LA Forum spoke to Southern, who is also a contributor to our online auction, about the continued cultural impact of the high rise. Why did you name the show “Hot on the Heels of Love: Sensational Speculations”? The music buffs might recognize Hot on the Heels of Love as a song by Throbbing Gristle, an experimental music and visual arts group that was founded in England in the 1970s. I thought the title appropriate to the exhibition because the skyscraper—a topic I’ve explored over the past ten years—is a subject that, when one removes “design” from the discursive equation, is ephemeral and always just out of reach, but also highly seductive. How has the cultural impact of the skyscraper evolved? In the exhibition description I bring up Mies van der Rohe and Le Corbusier because for me they represent the distillation of skyscraper theory, not only on an aesthetic level, but on an urban and political plane as well. Both architects were confronting the Nineteenth Century urban fabric in a reactionary way. Their proposals were a break with American skyscraper culture, which has always been about technical muscle and real estate speculation. Unfortunately, it currently appears that, with a few exceptions, the American model has become the norm across the globe. While there has been an exhaustive obsession with skyscrapers formal and aesthetic properties, the tower still has potential to be transformed into a space that simultaneously supports the idea of democratic civic space, while also satisfying the desires of the real estate market. What do you see as being the future of the skyscraper? My hope is that designers will stop worrying so much about what the towers of tomorrow are going to look like on a postcard or social media, and start putting more effort into how they perform on an urban level—programmatically, spatially and most importantly, socially. That, to me, is the only way we as a global culture can save the space of the city for everyone, and not just the 1% who have the liquidity to remake the urban fabric as an image to consume or as a place to park their financial assets. The LA Forum’s 2016 Out There Doing It series comprises three nights of discussions at the Neutra VDL House with emerging Los Angeles practitioners in architecture, design, and urbanism. Each of the practices featured consider drawing—both as act and representation—at the center of their design ethos. In advance of the first panel on Thursday, October 27, we spoke to LA Forum Board Members Chris Torres and Matthew Gillis about the series and how the selected practices engage drawing and representation. What is the collective theme of this year’s Out There Doing It and how did it develop? How do the selected emerging practices fit within this theme? 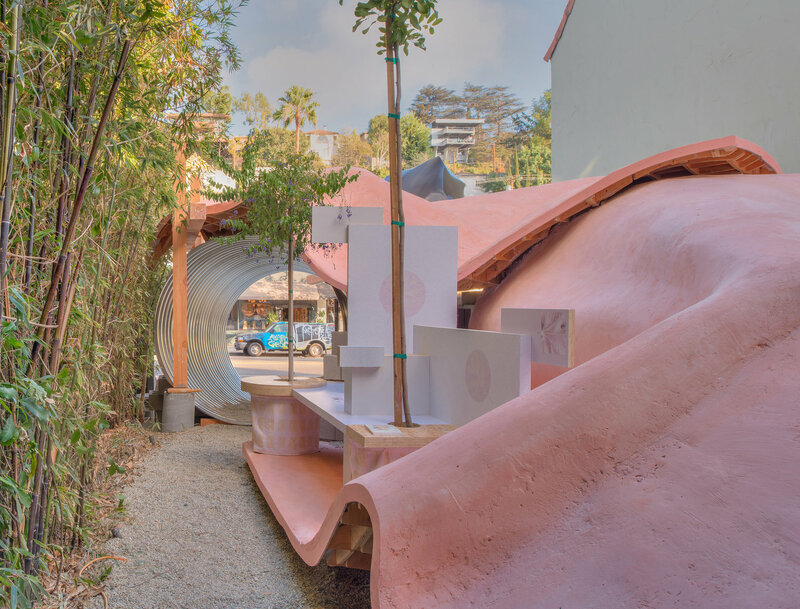 The collective theme of this year’s series reflects how designers in Los Angeles are interrogating and pushing the medium of drawing beyond the pragmatics of representation into spatial practices between the lines of art, architecture and landscape. We think that Los Angeles in particular, has a wide diversity of approaches to this subject. Drawings are transformed through the work of Refik Anadol, whose project Infinity Room uses light to blur the boundaries between the virtual and physical realms. We see his practice of curating and manipulating data as an emerging field within the discipline of architecture and are excited that Refik is part of the series. On the other end of the spectrum, we are intrigued by the work of Bureau Spectacular, who creates vivid cartoon narratives through architectural interventions. Their project, The Tower of Twelve Stories, created an architectural folly within the landscape of the Coachella music festival that is a 1:1 section of a fictional apartment building. The bubble like structure reveals both a quality of rigor in the purity of its engineering and also a quality of looseness, a playfulness that we find uplifting. The duo at Claret-Cup explore representation by graphically mapping events and artifacts, exploring the urban ephemerality revealed in Los Angeles. Their graphic experiments range in scale and categories from curated culinary evenings like Blind-(d)ate to Folded Beauty, an installation at RedCat 2015 Donors’ Gala. Mark Erickson’s representational work is situated within the confluence of historical drawing practices and contemporary computation in architecture. Cataloging a multitude of speculative drawing series; Nameless Curves, Euclid’s Wedge, Domestic Inversion, Mark expands the thinking and use of drawing techniques to create novel architectures. The work of Katrin Terstegen reflects an overarching interest in openings and apertures, as evidenced by her decade long collaboration at Johnston Marklee on projects such as Vault House and Maison Martin Margiela. We are looking forward to the developments at her new practice. Reece Jones is an expert on international border security projects and a geographer at the University of Hawaii. His new book Violent Borders: Refugees and the Right to Move draws on years of field research in border regions around the world. The Forum spoke to Jones, ahead of his In the Gutter event on October 15 at Arcana Books. Why did you name the book Violent Borders? I have been studying borders for fifteen years and during that time it became increasingly clear to me that the act of bordering itself was an act of violence. Borders not only do violence to the bodies of people on the move, as the over 40,000 deaths at borders in the past decade demonstrate, but there is also a structural violence that perpetuates inequality by restricting the movement of the poor and an environmental violence that damages ecosystems when border walls are built. How has the infrastructural idea of “the wall” evolved over time? It is funny that humans continue to turn to the ancient technology of the wall to solve our modern problems. However, there are some clear differences in the purposes of older walls, like the Great Wall of China or medieval city walls, and the border walls of today. The clearest difference is that in the past walls had a military purpose and were primarily meant to protect people and resources in the event of a raid or invasion. Today walls are obsolete militarily as planes and missiles go over them and tanks can smash through them. Nevertheless there is a recent and rapid turn to walls. In 1989 there were only 15 border walls around the world, today there are 70. The difference is that these walls are meant to stop the movement of civilians, not raiders looking to pillage. Instead, the walls are meant to deter poor workers looking for better opportunities for themselves and their families. In your New York Times Op-Ed you talked about how walls have become emblematic of a countries exclusionary policies rather than their ideals of freedom and democracy. Could you elaborate on that? 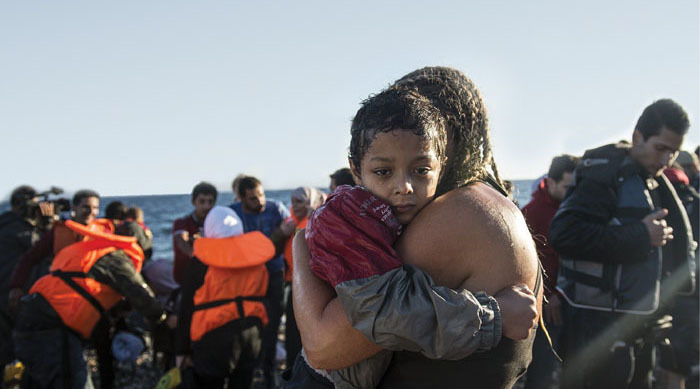 In countries across Europe and North America, an anti-migrant tide seems to be rising. This is evident in the support for Donald Trump even after his racist language about Mexicans being rapists and criminals and his suggestion to ban Muslim migrants. It is also clear in the Brexit vote and the success of anti-migrant political parties across Europe. Although not surprising, this is disheartening for me because I believe firmly that movement is a fundamental human right. Furthermore, the fear of migrants is not based on any evidence. In the US, studies show that migrants commit fewer crimes than citizens and are a net benefit to the economy. Despite the moral and economic case for allowing freer movement, many countries are building more walls and putting more restrictions on movement at borders. Returning to downtown Los Angeles on September 29-30th, the 3rd annual Core77 Conference brings together design practitioners, thought leaders, and entrepreneurs for an immersive exploration of how designers can lead interdisciplinary teams to create innovative products and experiences that positively impact society. As a Core77 Conference Media Sponsor, the LA Forum spoke with the Core77 team, about designing here and now in Los Angeles. What is unique about Designing Here/Now? The most unique aspect of Designing Here/Now is undoubtedly its scope. Attendees from every field of design will find themselves engaged in boundary spanning conversations initiated by our speakers and conference leaders. The goal is to create a conference that is rewarding for designers across disciplines, while maintaining our central theme and purpose. In essence, there really is something for everyone. What inspired Core77 to have this conference in Los Angeles? Los Angeles is such a diverse, vibrant city, and always seems to be at or near the vanguard for the next big thing. Given its history, architecture, and overall vibe, downtown L.A. seemed like the perfect location to host a conference about the contemporary design landscape, and how and why that landscape will change in the near future. 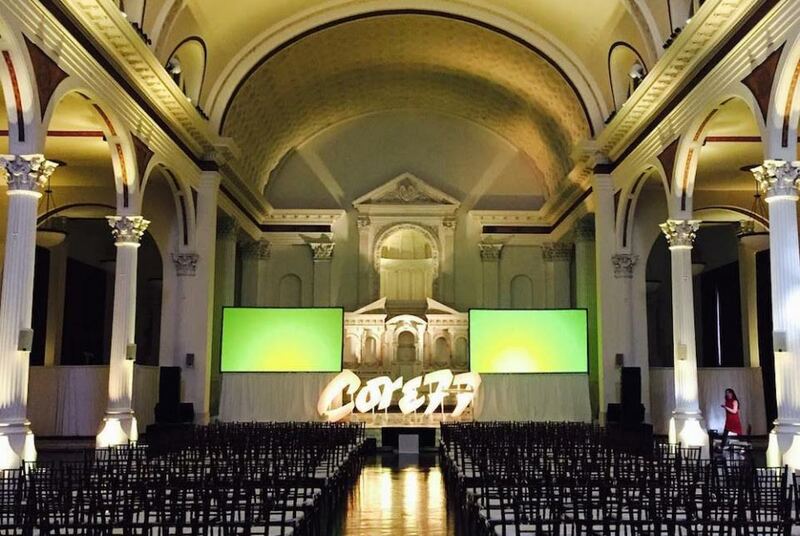 Los Angeles has a reputation for being home to progressive, cutting-edge thinkers, and those are the kind of people we’re hoping will join us at the 2016 Core77 Conference. What can conference attendees expect to experience? Immersion and connection are two of the core pillars this conference is built on. Attendees should feel as though they are a part of the conversation, rather than simply observing it happen. With this in mind, attendees can expect to have many opportunities to connect and engage at the conference. The entire second day is devoted to professionally led workshops and guided tours, while both days are interspersed with meals and evening parties enabling attendees to network with, and get to know, the speakers as well as each other. Historic Filipinotown is Los Angeles’s most comprehensive outdoor art gallery. On Saturday, August 27, “Hidden Hi Fi: Art Alleys Celebration”, co-presented by de LaB, Gabba Gallery, and Hidden Hi Fi, celebrates the neighborhood’s culture and the works of more than 80 artists who transformed alleys, buildings, and parking lots. The LA Forum spoke to Hidden Hi Fi’s Reanne Estrada about the heritage of this vibrant community. What unique aspects of Hi Fi do you think are currently “hidden” and could be more celebrated? Hi Fi, short for Historic Filipinotown, is one of those Los Angeles neighborhoods whose personality is not immediately legible. Designated in 2002, Historic Filipinotown has few cultural or physical markers to indicate the ethnic identity its name implies, compared to nearby K-Town or Chinatown. But a closer look at Hi Fi’s 2.1 square miles yields robust, multifaceted narratives that reveal the historic and ongoing contributions of Filipinos/Filipino-Americans to Los Angeles and their place in the larger context of the Angeleno immigrant experience. That, I think, is worth celebrating. How did the Jeepney project come about? Hidden Hi Fi is an arts, culture and equitable development project by Public Matters, a social enterprise, and the Pilipino Workers Center (PWC), one of Hi Fi’s anchor organizations. 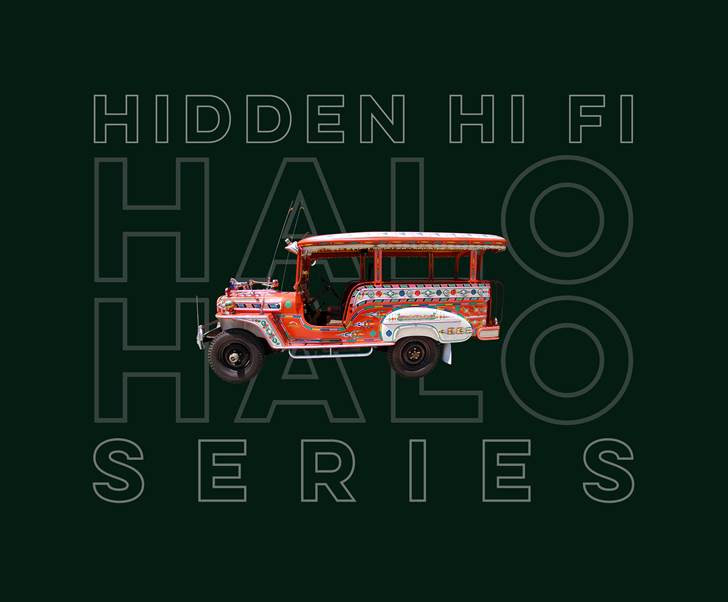 Hidden Hi Fi illuminates the neighborhood through interactive events, tours and experiences that inform, delight, and surprise, offering a vibrant dose of Los Angeles Filipino/Filipino-American flavor. Our vintage jeepney is our antidote to the low-visibility of Historic Filipinotown. After World War II, Americans left behind these military transport vehicles in the Philippines. Resourceful Filipinos transformed them into colorful, low-cost forms of public transit-jeepneys. There are only a handful of street-legal jeepneys in the U.S.; one of them is Hi Fi’s unofficial automotive ambassador. How did the art alleys develop? Back in 2014, Hi Fi’s Gabba Gallery owner Jason Ostro responded to the graffiti and trash in the neighborhood with a vision of turning “blight to bright.” From his first mural, a collaboration with street artist Andrea LaHue (aka Random Act), the project has blossomed to include 110 murals by 85 local and international artists. The body of artworks-the city’s most comprehensive outdoor art gallery-is constantly evolving, spreading to other walls, adding layer-upon-layer. It embraces and embodies the dynamic and constantly shifting nature of neighborhoods. 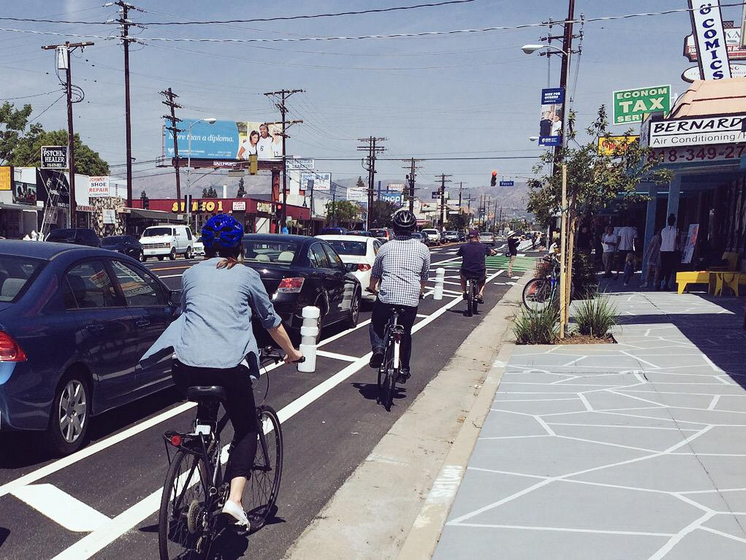 Riding in the Bike Lane on Reseda Boulevard. Courtesy of Great Streets Initiative. In 2013, Mayor Eric Garcetti launched the Great Streets Initiative with the concept that L.A.’s streets are livable, accessible public spaces that engage the city’s neighborhoods and communities. The Forum spoke to program director Naomi Iwasaki ahead of the Great Streets’ Third Thursday on Pico event about what it means to take it to the streets. Why should we care about the street? Los Angeles tends to have the reputation of our streets solely being for cars. But they encompass 7,500 miles of what is essentially public space for people. We have found through innovation ways of repurposing street space, such as creating a car-free plaza in front of of local eating establishments out of small streets, we can create place and public space that can make our communities safer, more vibrant, and more interactive. 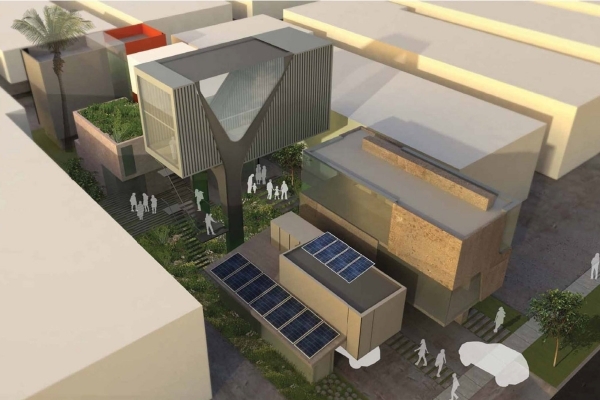 The Great Streets Initiative helps reimagine neighborhood centers from a bottom-up approach. How does this method help redefine public spaces? Our commitment to following a community’s lead in redefining what their streets should look and feel like has led to projects and improvements that better reflect the needs of the local neighborhood and changes that are owned and championed by community partners. Our work on Reseda Boulevard in Northridge, which includes the city’s first protected bike lane and coordinated sidewalk furniture, was a result of a multi-year, community-led visioning process with various groups such as urban design non-profit LA Mas. We strive to create the right opportunities for community stakeholders to work with the city so that resources and services provided by the City are a right match for the “end user”. How would you say the idea of public space is different in Los Angeles as opposed to other cities? In Los Angeles a lot of public spaces are not necessarily designed to facilitate organic interaction between diverse types of people (think Pershing Square). This may be because so much of our space was designed during the late seventies/ early eighties, where the idea of exclusion was applied to urban design. But when public spaces are not welcoming to everyone, they can turn into spaces that are aggressively unwelcoming to many people. This seems to be changing, but we are still getting used to a culture shift in Los Angeles where people spontaneously interact with strangers rather than intentionally plan or cultivate a majority of their social interactions. The LA Forum’s Summer 2016 newsletter collects stories and experiences about the city from five unique perspectives: an artist, an actor, a geographer, an architect, and an urban critic. The LA Forum spoke to editor Orhan Ayyüce about the new issue and deciphering spatial signals in the city. 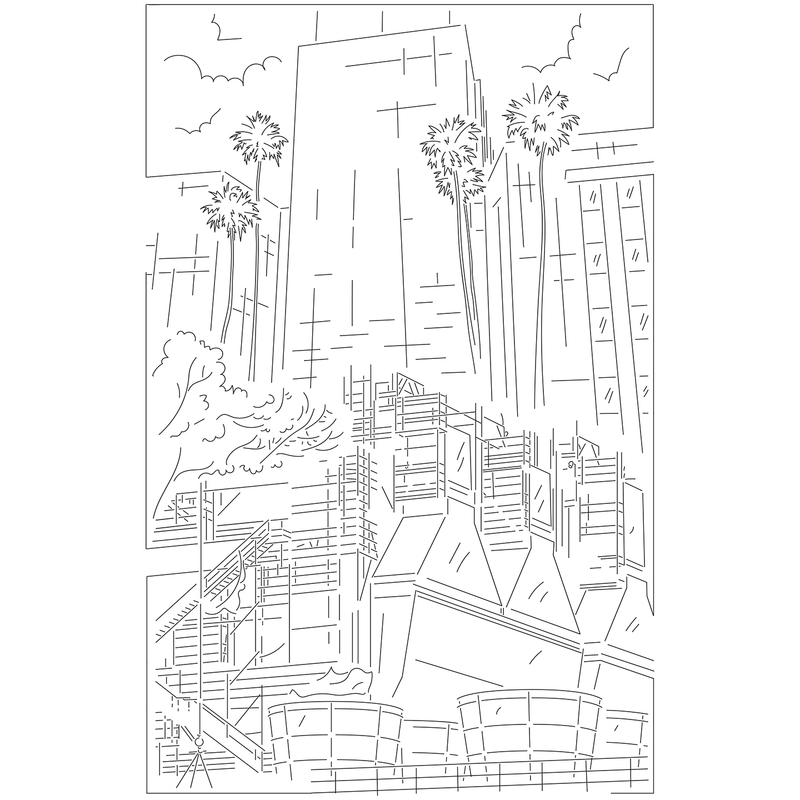 Your editorial begins with “Los Angeles architecture is everywhere it wants to be.” Could you expand on this provocative line? I wanted the newsletter to be about very important components of urbanism that are somewhat distanced from specific buildings, master plans, or development projects—and the cults of personalities that bombarded us every day in many publications. It was important to point out that the built environment also exists anonymously. [The newsletter] re-values the city without the elite qualifications of architectural and urban design culture and its mostly elitist community. If you think an ordinary chain link fence or a typical street with ordinary things qualify as the built environment, then you have just accepted that architecture is everywhere. 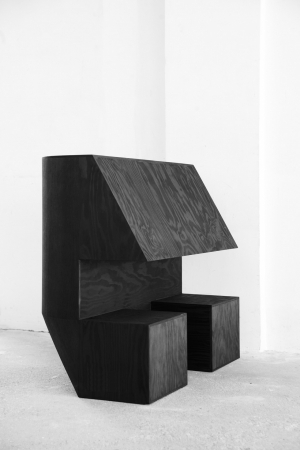 It has complexities of its own and its own spatial identity. We are not passing judgment if they are good or bad or beautiful or ugly. We are recognizing their presence and looking to understand what signals they emit. So, yes, then, architecture is everywhere it wants to be. It is up to us to see, process, and live it. The newsletter explores sidewalks, boulevards, racial tensions, Instagram, light, and space. From your personal experience, where do you find the “essence of the city”? These are all spatial ingredients. They make the physical environment and they signal information. These elements and systems contribute to spatial identities of places in the city, where and how we live. They are the aura of cities. Each city has a specific essence beyond the generic systems or infrastructure. For example, I consider the temperature or the sounds of Los Angeles or the social makeup of the city and its neighborhoods part of this essence. I find it everywhere. This summer the LA Forum presents the exhibition MEDIAN. 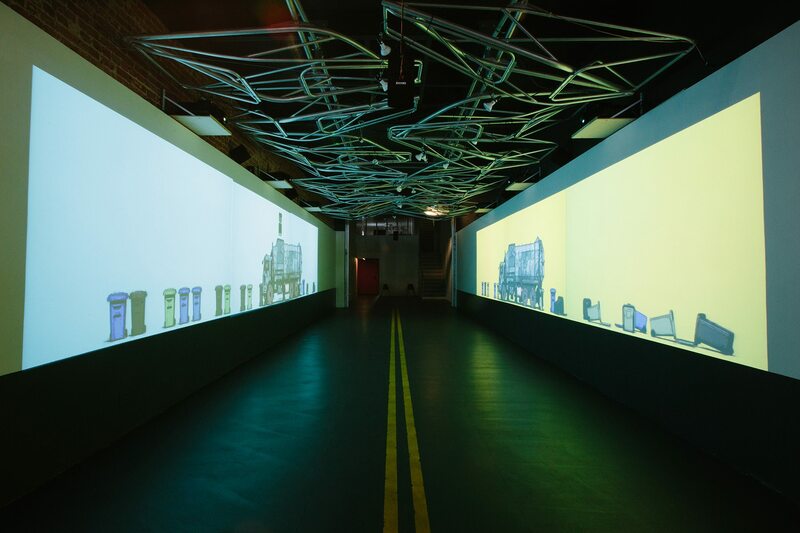 An immersive video and audio installation, it takes over the walls of WUHO Gallery, projecting nearly life-sized renderings of Los Angeles—images that stockpile everyday collisions of contexts. The LA Forum spoke to exhibition creators David Hartwell and Bill Ferehawk ahead of the opening this Thursday, July 14 at the WUHO Gallery about what it means to work in the MEDIAN. Why did you title the exhibition MEDIAN? We thought the middle of the road was a good vantage point to observe Los Angeles. The median is privileged, uninhabitable, and dangerous. What was one of the most surprising things that came out of the exhibition? We took a position that our first references for this piece would be visceral: How do we feel and react to our experiences of the city? 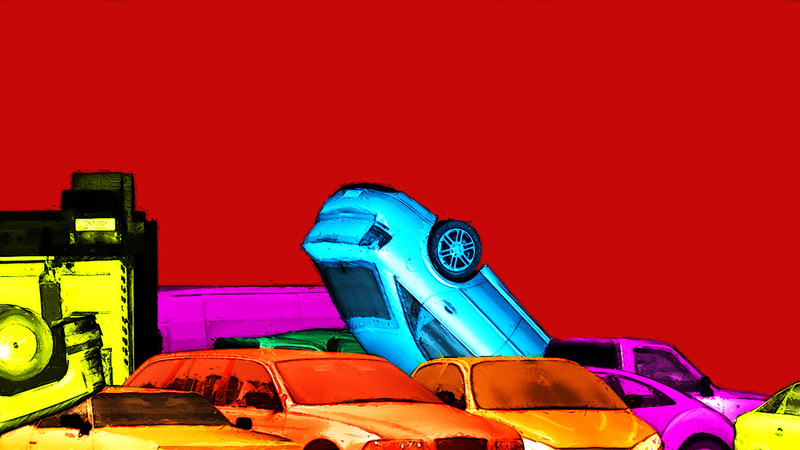 We first created moving image maps of our emotional reactions to everyday Los Angeles. Only later, would we back in to the more intellectual side of things and then tweak the scenes. And honestly, we didn’t know if this process would work. We are fascinated and excited by the myriad of contexts and collisions in this city. This curiosity is what we learned in architecture school. Los Angeles is persistently challenging and that is what we love about it. We decided to make moving images and films about this experience. I think our piece proposes a reality of the urban experience that demands reflection and discussion about how we live, where we live, and who we live with. 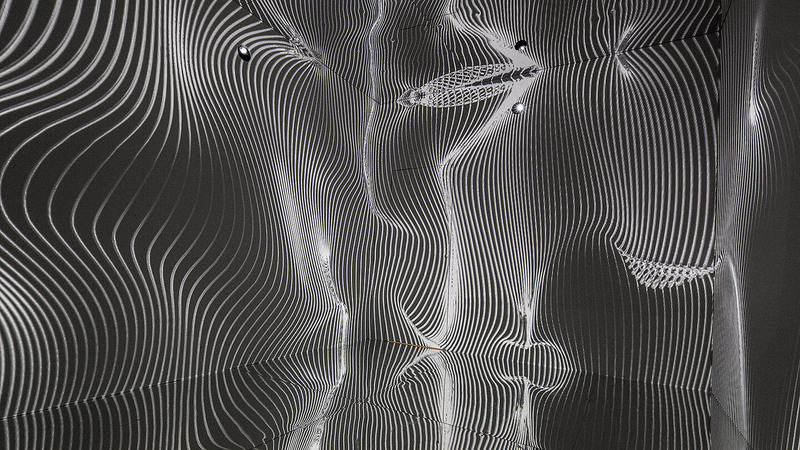 M. Casey Rehm is a designer, algorithmic consultant, and founder of Kinch Studio in Los Angeles. He currently teaches programming and robotics at SCI-Arc, where Control, his new exhibition, opens Friday, July 1 at the SCI-Arc Gallery. 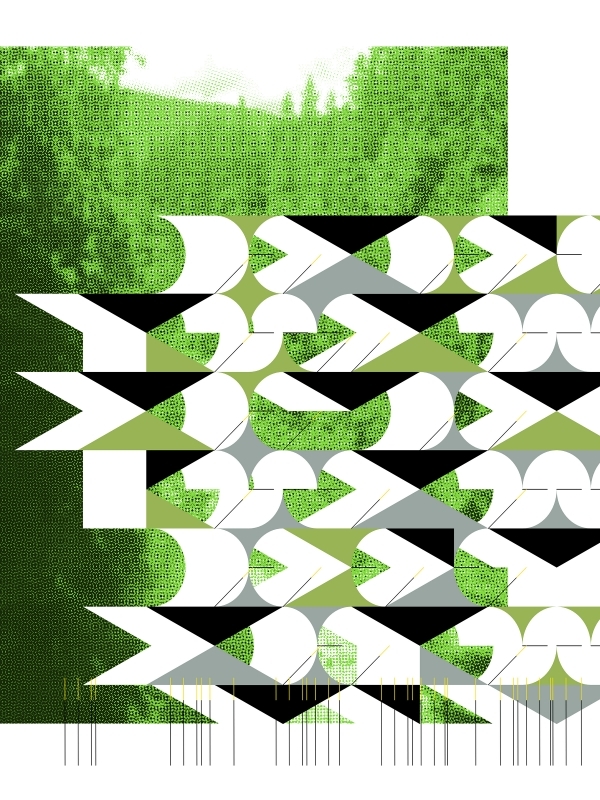 The LA Forum spoke to Rehm about algorithms and designing for and with automated processes. What themes do you explore in Control? Are there crossovers into other aspects of your work? 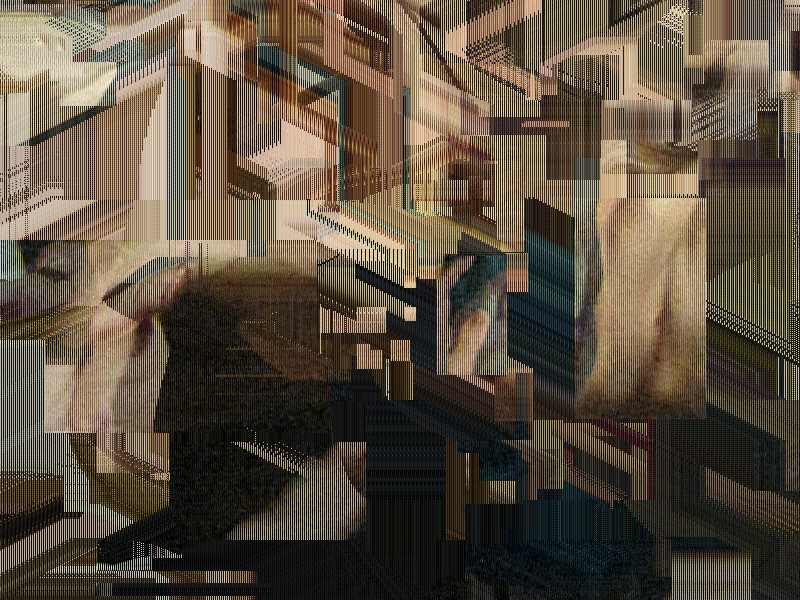 Control is a conflation of several trajectories within my work that until now remained separate. This is the first time where I try to integrate image-based interactive design with material algorithms as space-defining methods. 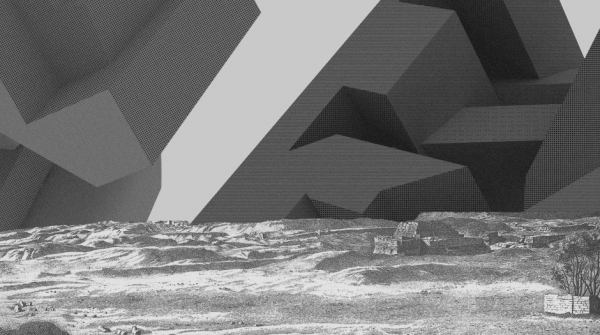 There are elements of surveillance, material algorithms, and space-planning algorithms. It’s also the first project I’ve done where the design was fully automated through a series of agent algorithms. In the past those techniques only inhabited about 30 percent of the design process. This installation is closer to 95 percent automated in the design process. What kind of experience were you looking to create in the exhibition? I’m looking to create a space where media doesn’t feel like ornament or appendage but contributes to how people occupy the space. There is also an attempt to focus on designing at an interfacial scale, meaning that coherence for visitors is more at a human scale rather than at the overall formal level. Based on the description, Control “embraces the narcissistic and exhibitionist qualities emerging in contemporary society.” How does this awareness of self-absorption impact the creation of space? I think that we need to rethink design to reflect the changes that are happening even at the cognitive level of the current population. The ubiquitous production of fictional narratives on social media has become integral to how we see ourselves, each other, and the world around us—phenomena that was shocking in the past is now banal in its integration. Compression distortions, superpositioning of stimuli, Instagram filters, etc. have had a very real impact on how we live and how we think. On June 23, the Association for Women in Architecture and Design hosts a symposium at the MAK Center on the topic of gender. The LA Forum spoke to Jillian Hensiek, AWA+D director of programs, about the upcoming event and asks the question: Does gender matter? I would imagine the answer to this question will change depending who you talk to; and maybe we need to first define the word matter. To me it comes in a few forms—gender might matter to the creative and professional experience of the architect or designer, to the work itself or to the perception of that work. And then again, perhaps the work and experience transcends the gender binary. This is why we’ve assembled a panel of diverse and talented women to share their own experiences and thoughts. I want to know what they think. 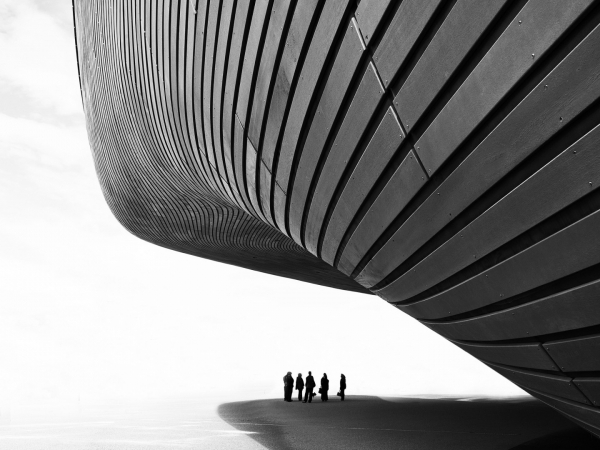 How have female architects advanced in the field throughout the years? Where would you like this advancement to go? I think it’s clear that advances have been made, and yet there still seem to be setbacks. There have been improvements in female leadership and licensees but a gap remains in pay and in the student to workforce ratio. I would like to see a day that when a brilliant female architect like Zaha Hadid passes away, the headlines don’t read “The world’s only superstar female architect dies in Miami beach” (as the Miami Herald stated). I think there is room in the world to acknowledge more superstars. What would you say is the most difficult issue facing women in architecture today? That is a question I would really like to ask the panel next week. I think the most difficult issue facing anyone in architecture or design today is confidence and perseverance in a world with so much competition and rapidly changing technologies. I hope difficulties center around what people are capable of and not preexisting notions of what they must overcome. The current A+D Museum exhibition Come In! DTLA celebrates creative practices in Los Angeles. On June 11, the LA Forum will host a discussion with exhibitors Jessica Fleischmann, Tim Durfee, Lisa Little, Guvenc Ozel, Erin Besler and Ian Besler, moderated by Danielle Rago, exhibition curator and Jennifer Marmon, architect and LA Forum Board Member. We spoke to Fleischmann, Little, Ozel and the Beslers about what grounds and inspires their creative work in the city. How do you think living in Los Angeles influences your creative process at this moment? Erin Belser / Ian Besler: Our creative process is entirely determined by our access to material goods and fabrication processes. We spend a lot of time engaged in shop talk with talented and motivated people in Los Angeles about where’s best to buy things. Otherwise, mostly we spend all of our time trying to figure out how to sneak our way into various fabrication shops. Los Angeles enjoys a kind of embarrassment of riches of these resources and facilities. Tell us about your work in the show; what were you exploring creatively in this project? Lisa Little: This work explores the intersection of craft and computation, both of which are part of my design and fabrication processes. I’m intrigued about a new order at the intersection of multiple opposing forces: organic versus computational, hand versus machine, and biological versus mechanical; provocations that challenge the primacy of the purely digital object and set forth an embodied structural methodology. How does your work begin to engage with the city, architects and designers, and the greater public? Guvenc Ozel: The exploration and dialogue regarding the significance and application of Virtual Reality is at its infancy. By providing a playful yet accurate depiction of our project, which is meant to exist in an extraterrestrial context, we hope to engage our colleagues and the larger entertainment and aerospace industries in this debate while finding powerful tools to communicate our designs. What are your intentions for the work post-exhibition and how might they inform a later project or your practice? Jessica Fleischmann: The idea of an infinite grid is behind all of our work—a base structure that everything responds to, either through alignment or refusal. This work uses foil-stamped paper produced specifically for the show. It’s a custom version of the paper used in our Grid by Line stationary. Aris Janigian is a keen observer of the Los Angeles condition. 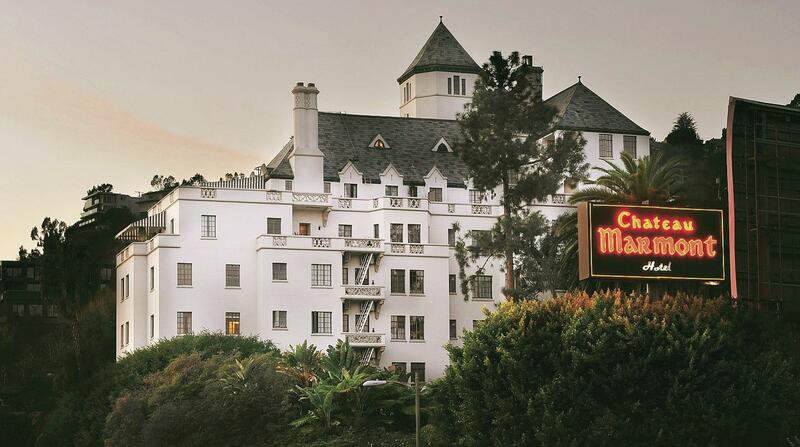 His newest book,Waiting for Lipchitz at Chateau Marmont, is a bold and colorful critique of the California Dream through the perspective of screenwriter who has gone from riches to rags. We spoke to Janigian ahead of his reading and book signing on Saturday, May 21 at the Neutra VDL House. You live in Fresno, how did your time living in Los Angeles affect your work? I appreciate Los Angeles for how it heightens your consciousness, and sharpens your wits; the sheer friction created by the endless jostling of new images, people, and artifacts is exhilarating, but it can also exhaust your inner resources, easily distract your focus, and make the kind of muscularly meditative work that novel writing requires difficult to sustain. In Fresno, on the other hand, nobody is watching you, things change at a much slower pace, and the inward turn is almost too easy to make. So, in a way, I like to think that both cities are reflected in my writing: a certain edginess and liveliness alongside a certain quiet and heartfeltness. Why set your book at both Chateau Marmont and Forestiere’s Underground Garden? The Chateau was built on a hill in the manner of a French Country castle, a place for the Hollywood elite to quaff martinis and slumber in sumptuousness; on the other hand, The Gardens, to my mind, a morality lesson in architecture, were built underground by an Italian farmer who only dreamed, at first, to escape the merciless valley heat. They are polar opposite structures, and in the course of the novel they enter into a conversation, if not occasional shouting match, that yields some provocative conclusions, I think, about the aims and values of culture, and the meaning and practice of architecture. Will Wright is the Director of Government & Public Affairs for the AIA’s Los Angeles chapter. On Friday, May 6, the AIA LA’s “Design for Dignity: Changing the Housing Equation by Design” will convene a multi-disciplinary forum of architects, planners, affordable housing developers, non-profit leaders and other innovators to discuss and develop actionable steps for solving the city’s homelessness and housing crisis. In regards to the name of the event, how are you defining “dignity”? When one designs for ‘dignity’, one designs for an outcome that enlivens the human spirit, empowers a person’s ability to either regain, recover or re-discover a sense of self, and strengthens our connectivity to each other in such a way that respect, character and sentiment become intrinsic touchstones to our everyday lives. Dignity is health plus equity and delight. Dignity is a trusted foundation to rest upon no matter how challenging the storm. It’s a reminder that we’re are all in this together as humans with each other’s well-being deeply rooted as one. What role do you think architecture can play in tackling larger, complex social issues, like homelessness? Architecture’s role is as big or as small as the coat hook on the wall. But the role of architects — as a profession, their role is gigantic. As systems thinkers, as design thinkers, as professionals that can analyze all of the moving parts holistically and engage in an inclusive outreach process to better understand the nature of the challenge, architects are uniquely positioned to help stitch together the resources that will most humanely ameliorate the hardships of being homeless. Shelter is right up there with the other four prime human needs and architects understand the mechanics of what truly makes shelter a home. What recent innovations and design solutions in the affordable housing and public realm are you most excited about and would like to see more of? 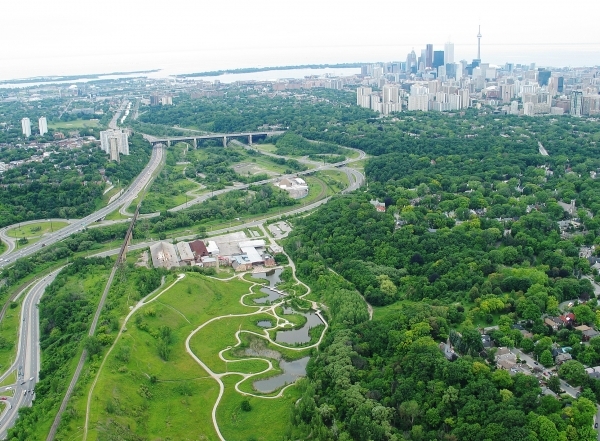 Innovations geared towards Net-zero energy outcomes (and greater emphasis on natural, passive systems) will help empower residents with lower energy bills and, at the same time, further restore one’s connection to the earth, a source of never-ending replenishment. Dignity isn’t high-tech; dignity is that sense of comfort and grace you find well-rested in the shade of a majestic oak; dignity is the sense of awe you discover waking up to the sound of the rain on the roof and realizing you’re warm and alive and hungry for another day. 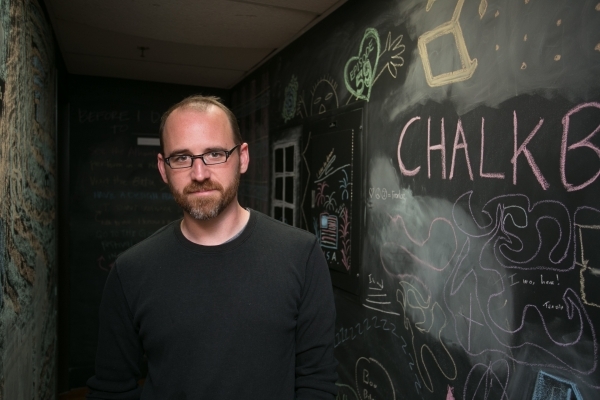 Roman Mars is the host of the podcast 99% Invisible. His weekly show explores the unnoticed architecture and design that shape our world. On May 4, 99% Invisible will be part of Radiotopia Live, a one-night only event at the Ace Hotel. The LA Forum spoke to Mars about telling design stories through the medium of radio. What inspired you choose radio as a medium to talk about the world of design? The reason I thought it was a good idea as a radio show was because I’m much more fascinated by the story of design and how design is used to solve problems than I am by the aesthetics of design. When pictures are available, the audience gets a little too hung up on how things look, and I like that I can strip that away and focus on how a designed object got to be the way it is. 99% Invisible is about using design as a lens to view our humanity and the audio constraint gives that even greater focus. How do you select the stories you tell to listeners? 99% Invisible is now a team of really talented people who pitch story ideas back and forth all the time. I tend to favor the stories that are about a specific, even everyday, object, but reveal something larger about the world. The episodes that resonate with me are the ones that help decode the world in some way and give you new eyes for examining the built world and all the consideration that went into it. In your TED talk you say that a well-designed flag can be seen as a great indicator of how a city considers design itself. Do you believe it’s time for Los Angeles to get a new city flag? L.A. has a classically bad “seal on a bed sheet” flag and you could do so much better. Even if you just took the seal off and kept the tricolor zigzag, it would be better. I think a total redesign is worth exploring. L.A. is an amazing place, and it would be great to see a flag the residents really loved and rallied around. I sense more and more pride in being a resident of Los Angeles, so it’s a great time to get a great flag that people doing all manner of civic projects will embrace. 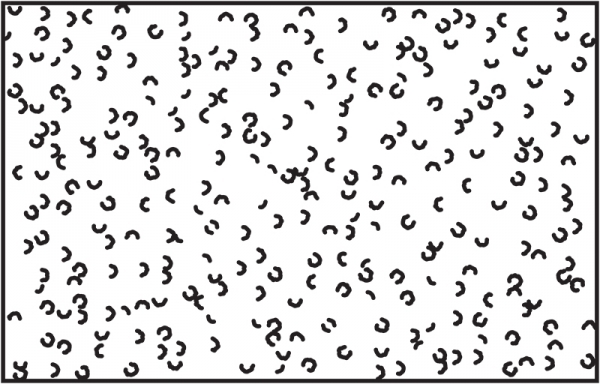 Image: Dingbat 2.0 Competition 1st Prize-winning scheme: Microparcelization by Carmen C. Cham, James Black, and Tyler Goss, 2010. 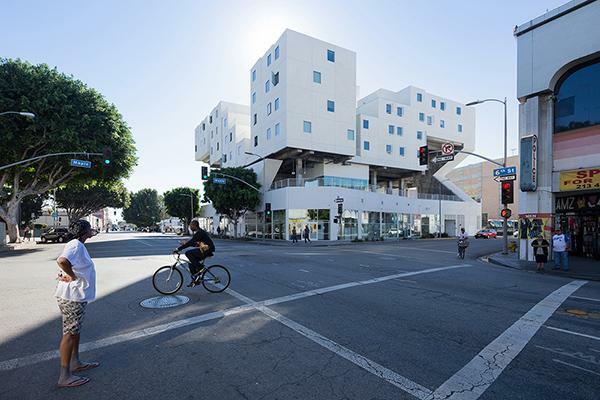 A few years ago, the LA Forum hosted the competition Dingbat 2.0, which asked designers to reinvent the “dingbat”—Los Angeles’ ubiquitous apartment building type—for the future. Results and reflections are published in the Forum’s newest book Dingbat 2.0: The Iconic Los Angeles Apartment as Projection of a Metropolis published by Doppelhouse Press. We spoke to editors Thurman Grant and Joshua G. Stein about what we can still learn from the lowly dingbat. How did the Dingbat 2.0 competition come about? The LA Forum has a history of identifying emerging issues that question the shape and inhabitation of the city. A competition is both a way to draw attention to overlooked urban and architectural issues and to consider speculative futures. [We] became interested in looking at dingbats as an aging housing type that originally constituted a surprisingly large portion of the housing stock of Los Angeles, but exists largely as an anonymous urban artifact today. We were curious about this ubiquitous building type that exists throughout Los Angeles but was largely ignored outside the city. We found that many of today’s pressing issues are embodied in the dingbat, either in its history or its current condition. Los Angeles (along with the metropolis in general) is faced with an increasing need to densify and provide housing for an influx of new urban dwellers. After World War II, the dingbat helped enable one of the city’s most significant periods of densification. A thorough examination of the dingbat demands that architects reckon with factors that we often leave off the table: the role of zoning, financing, development, and ownership. It is hard to imagine innovative solutions to the housing crisis in Los Angeles without questioning some of the default assumptions we have concerning these forces. What is the next step for the Dingbat typology? With current zoning regulations that prohibit back-out parking from apartment buildings, the dingbat type could not exist as new construction today, and with the upcoming seismic retrofits required by the city, even existing dingbats are threatened. One outcome of the Dingbat 2.0 competition and publication was the consideration of “dingbat logics,” as opposed to the continued propagation of the type. Dingbats allowed for the densification of the city, while maintaining a smaller scale urban neighborhood, and allowed for small-scale developers to impact the fabric of the city. Los Angeles’ current popular small-scale development model is based on the Small Lot Ordinance, which allows multi-family residential lots to be subdivided into smaller parcels for individual owners, and this was the strategy of the winning scheme in the Dingbat 2.0 competition. Small lots allow for a density similar to dingbats—between the scale of the single-family house and larger “stucco monster” apartment buildings. Book Design by Jessica Fleischmann | still room. View of Building Portraits exhibition by Atelier Manferdini, 2016. Building Portraits, on view at Industry Gallery, is a suite of elevation studies developed by Atelier Manferdini over the past two years. 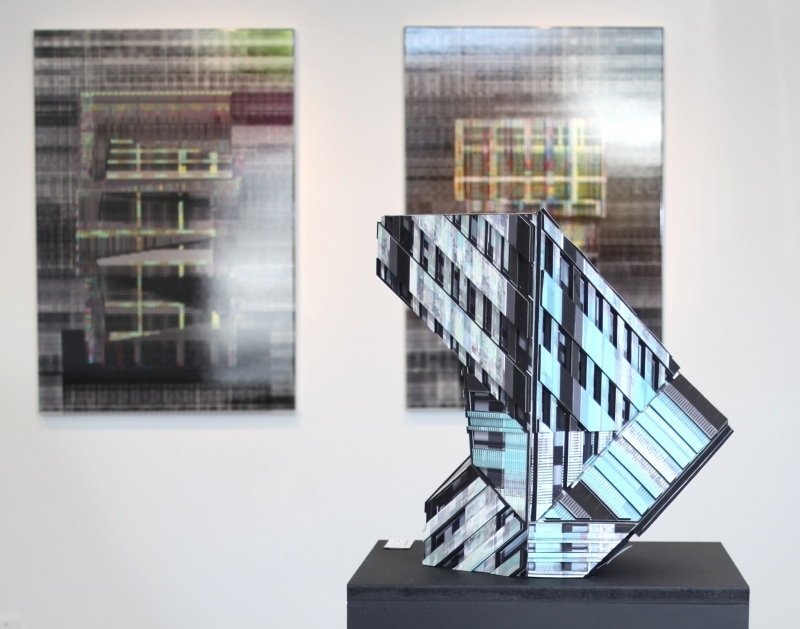 The show is both architectural research and an autonomous artwork and explores of the potential of intricate scripted line work at the scale of a building. The LA Forum spoke Elena Manferdini about the role of facades and representation in architecture. Why name the show Building Portraits? The title of the show, Building Portraits, alludes to two distinct disciplines, the field of architectural drawings—building—and the one of fine artistic pictures—portraits. This body of work tries to claim a territory where these two attitudes find a common ground, where pixels and vectors get closer to the scale of perception. When did you first develop a fascination with facades? Over past six years, the status of the abstract drawings versus the photorealistic pictures has been under close scrutiny in [my] artistic and architectural practice. After four years spent experimenting on how the realm of the painterly can be scaled to architectural spaces, the research moved to find modes for abstracted drawings to create literal pictures of building facades. 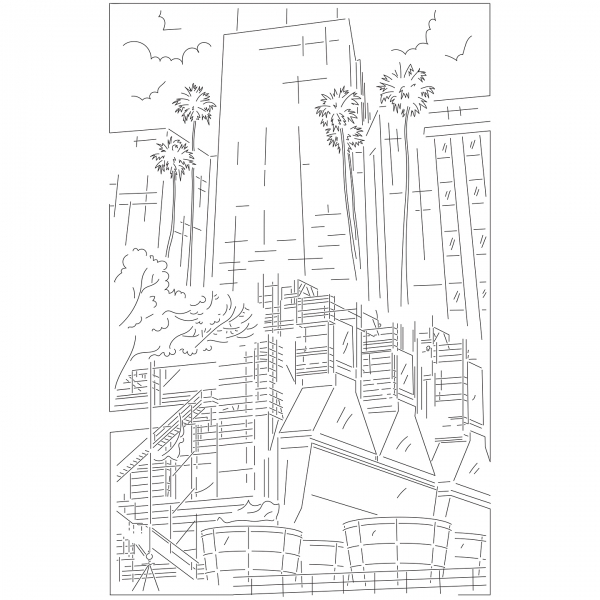 Half of Building Portraits are drawings, which are printed on powder coated aluminum and afterwards coated with a glossy finish, came from a series of elevation studies of Mies van der Rohe buildings in Chicago and New York for the Art Institute of Chicago’s 2015 show Building the Picture. The other half of the drawings are printed on watercolor paper and are studies for actual Atelier Manferdini projects. What would you say should be the role of representation in architecture? Historically, architectural drawings have always been the product of an inherent dichotomy, because they are usually conceived as the expressions of “artistic” ability combined with “technical” savoir-faire. In the past twenty years of digital revolution, the dual nature of the drawing became even more polarized. On one hand there are technical drawings, on the other photorealistic renderings, giving rise to a perceived division between drawings made for a professional audience and those created for the general public. 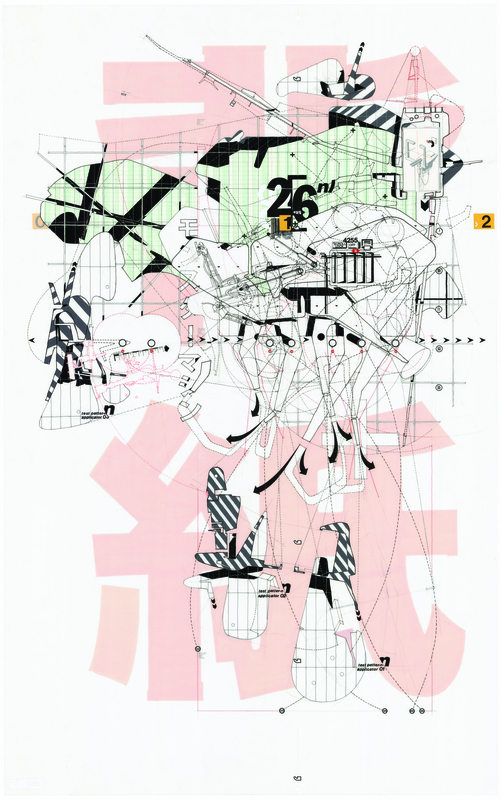 The show suggests that “drawings” and “pictures” are [no longer] poles of a spectrum within which architectural production might be placed, but that they are getting closer and closer. This show supports the continued practice of thinking through drawing and suggests that they are not only didactic instruments, but are able to trigger imagination and convey a sense of immanence, which directs the mind to a reality not yet in existence. 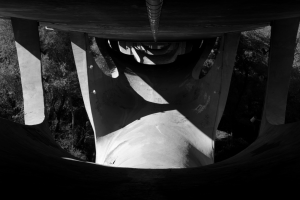 Devin Gharakhanian and Mohamed Bensasi’s experimental short film “6” debuted at ForumFest this fall as part of Jai & Jai Gallery’s installation. 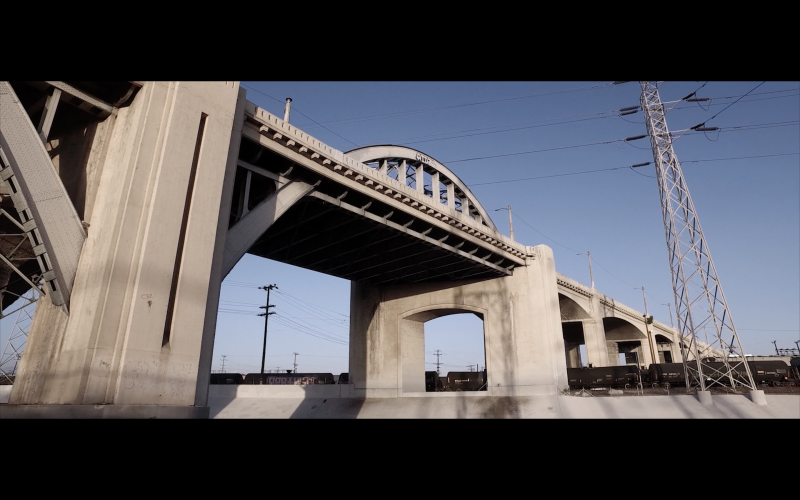 The film is a love letter to the Sixth Street Viaduct. On the occasion of the bridge’s demolition, the Forum spoke to Gharakhanian about the film, Los Angeles’ creative culture, and the movie Grease. “6” is now streaming exclusively at The Creator’s Project. Film and architecture are entwined Los Angeles. Coming from an architecture background, how has working in film impacted the way you perceive the city? With architecture, we’re always in Google Maps view—we’re seeing everything in a more urban, diagrammatic, square footage manner, drawing the lines in a more general, Haussmann-ized way. We never get to taste the field, the textures, the city, the lives, and meet the people. When you study the city, it’s way more synthetic and physical, and you’re not really feeling or seeing the city for how it really is from a human-scale perspective. With this film, we actually got to live and breathe the city. We met our star King Monster and he told us the story, he told us about the Sixth Street Bridge. It wasn’t through articles, or blogs, and researching or going to Wikipedia. We were hearing from the people who actually lived there; we got the full-scale picture. All your senses are open when you’re making a film. You’re on site, and as an architect you’re on site as well, but to make a film, you really have to go there to get the full picture of what’s happening. For us, this was a chance to finally make a film and practice this new way of expression. We had no budget, and we worked with our best friend who’s a fashioner designer (Drew Kessler of nolabel.sc) and another friend, Cliff Dweller, to score the film, and borrowed the camera from another friend. It was this cross-disciplinary group of creative Angelenos who are interested in the contemporary city. Of all the Sixth Street Bridge cameos in popular culture, which one has meant the most to you? We actually went through all of them and we weren’t impressed. But Grease is epic. You can drive down this tunnel and go into the river bed, and still to this day, people are racing their cars. Grease was showing that forty years ago and the exact same activity is still happening right now, but instead of leather jackets, they’re wearing Supreme shirts. Bryan Cantley is a master of his own visionary form of architectural rendering. His work puts an emphasis on experimentation and self-expression through the acts of drawing and model building. The Forum spoke to him about “Drawings Lie”: Recent Works by Bryan Cantley, on view at The Christopher Mount Gallery through May 20. Why did you name the show Drawings Lie? There are several ways to answer that. Christopher Mount (the show’s curator) chose this based on conversations about a lecture/writing I had previously constructed. I think the context statement was “drawings lie—or they tell you the untruths you want to hear….” Perhaps another way to describe this might be to say, “drawings produce artificial mythologies.” Drawing, like text, has the opportunity to produce a myriad of readings and interpretations. Since architectural drawing is often about reduction of information and absolute truths, my initial take on architectural representation is to obfuscate that initial role of a truth-maker, and to challenge to typical relationship of occupant/viewer to the subject matter. What truth do they tell you? What would you say is architecture’s current state of representation? I think we are in an extremely fragile/critical stage in architecture (including education as well as drawing itself). 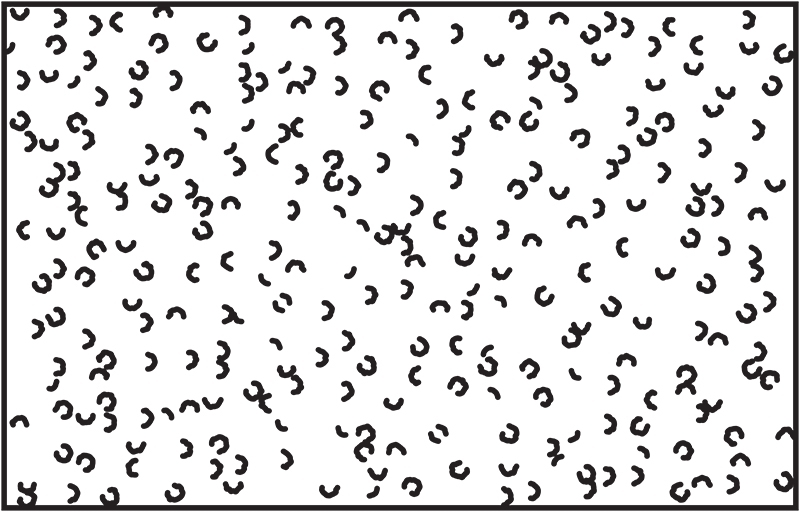 There is a blur of media output that is very intoxicating, if not only for the potential of misinformation and reinterpretation—drawings lie—that an evolution allows. I think we are at the beginning of a new bloom/direction in representation as a research/explorative tool, as opposed to using it only as showing off one’s rendering chops. The difference between rendering and representation might be a more poignant inquiry. Architecture is still invested in the hyper-documentation of “the thing”. There is an opportunity to go beyond that mindset. What type of spaces do you like to explore in your drawings? Those that cannot/should not/might not be “built”. There has always been a series of multi-temporal space and non-stable environments (both the drawing and the subject matter) in my drawings. I might venture to say that if one sees a singular object/space/time in the drawings, then they (the images) have not done their job. They explore many ideas, including a search for what is not currently known, within the artifact of a single, flattened object. Façades+ comes to Los Angeles this month for a 3-day conference on design, buildings, and architectural envelopes. Talks and workshops kick off on January 28 with a keynote from Enrique Norten of TEN Arquitectos. The LA Forum spoke to the conference’s curators Alex Korter and Kevin Kavanagh about the power of façades. 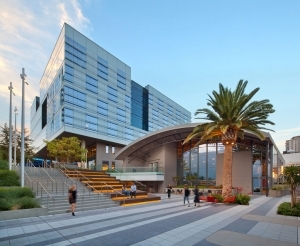 Why is it important for Los Angeles to have a conference about Façades? Façades are perhaps the most prominent part of a building and successful facades relate to their immediate surroundings. One goal we have for the conference is to remind ourselves, and the audience, that cities big and small should reinforce a sense of local identity. L.A. should be different then New York, London, or Shanghai. The process of developing great architecture might be quite similar, but building should represent the regional condition of place and people. 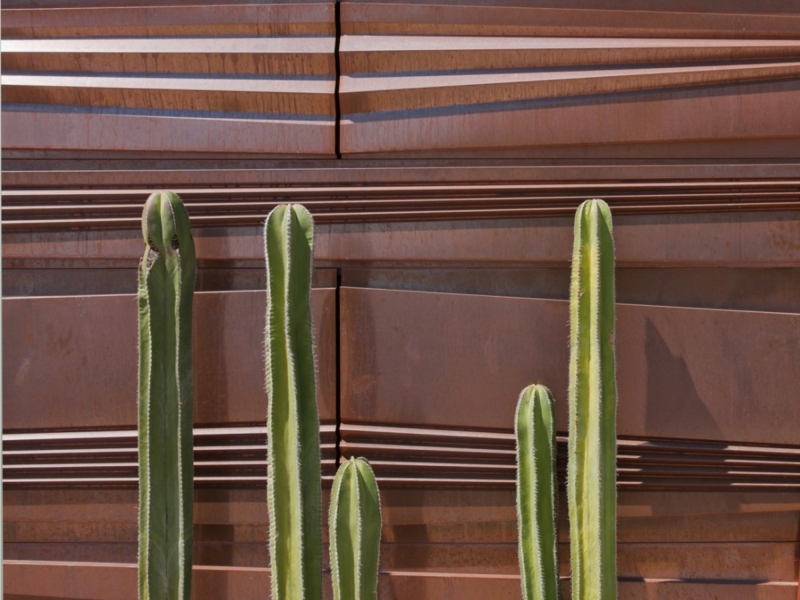 Where do you see façade design heading in the future? We are nearing the point where we can almost build anything we can think of through various evolutionary leaps in fabrication. The next question we need to start considering is should we be doing outrageous engineering feats just because we can? 90% of the buildings that will exist in 50 years are already built and in a constant state of decay. Façade design on the large scale is going to have to start dealing with the existing building stock on a scale beyond anything undertaken to date. Today, a high performing façade generally consists of a non-leaking, that is relatively easy to clean, and is a somewhat ineffective thermal barrier. The next façades will need to move beyond barriers and become integrated systems that not only support other buildings systems but also interact with one another on a building, community, and urban scale. This is one of the steps necessary to achieve measurable performance that will make a real difference in curbing the impact on the environment.